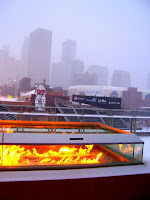 Baseball, beer, lipgloss, music and sass: My view on the 2010 Minnesota Twins season, the new stadium, Minneapolis, bands, walk-up music, & pre-game festivities. Go over to my site (that is written with Those Girls @baseballhappy) Balk About It and enter our Dirty Little Secrets contest! There's a prize pack and shenanigans! Have you gone over to Sarah (from Those Girls) and my new site: Balk About It? It's on the Aerys Sports network and pretty awesome...if I do say so. Do you know your ballpark's music director? I know mine! I had a chance to sit down with Target Field's new music director. Read it for some scoop on walk-up music for Thome and Nathan. This article explains why sometimes having a first date at a baseball game isn't a great idea. So many great sites on Aerys Sports have written about charities! Questions are coming in and we're trying to answer them. 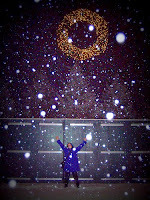 It's all the things we do best blended into one Super Force Blog! Tomorrow is launch day so check it out. Go on. I dare you! We promise, we won't be too nice and fluffy. In 17 days, Sarah (@baseballhappy) and I will be venturing to the great city of Pittsburgh (yeah, I know…not a lot of people preface it with Great). It’s one of our favorite cities for a few reason: Pirates, Garrett Jones, food, PNC Park. SO ANYWAYS, we’re heading out there for PirateFest at the end of the month. They’re will be Garret Jones-ing, Primanti Brothers sandwich eating, eyerolling, and other shenanigans to fill our weekend. If by some act of weirdness you are reading this and you are A) a Pirates fan and/or B) going to PirateFest, hit us up! We’re really nice…usually…well, we try to be. Well, winter is here to stay. As if the snow covering Target Field wasn't enough of an indication let's just go with the fact my lipgloss freezes on my morning trek to the bus stop. 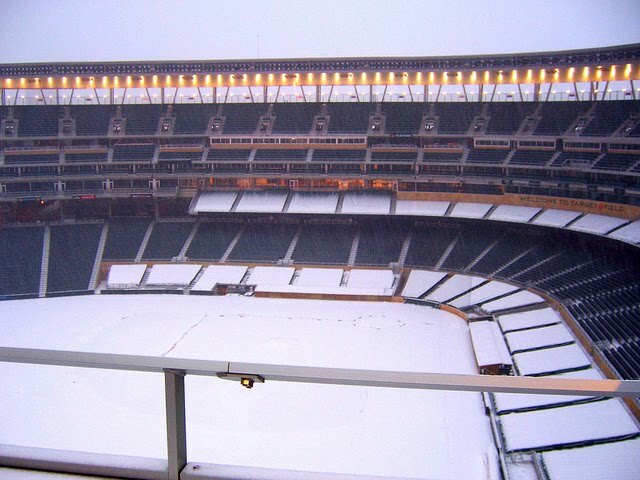 Is it time for Spring Training yet? 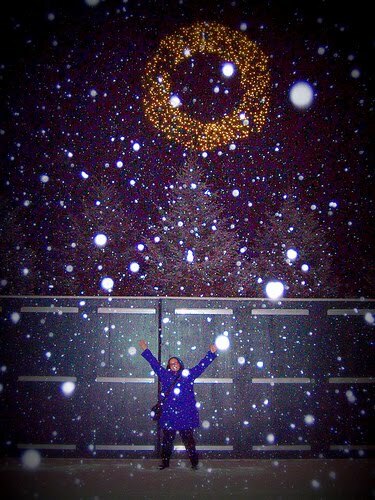 I could use a little light at the end of the shoveled tunnel! PS: All this trade and signing talk is getting me excited for some off season moves! Thomse? JJ? 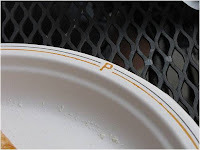 A pitcher? Anything? Bueller? This photo is going on my christmas cards this year. I have a theme...and that theme is baseball, Minnesota Twins & Target Field. It was either that or vodka. This is me. In centerfield at Target Field. Yep, hanging out at the wall where homeruns are ruined or crowds sigh in bummness. Where TC the Bear comes down. 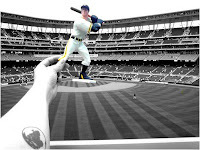 Yep, there I am on Target Field. Christmas Music of the Day - ah, my teen years! Hanson's Snowed In is still one of my favorite christmas albums! 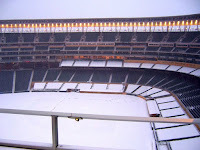 Photo a Day (2-for-1): Target Field in the snow! Thank you to @MinnesotaTwins for inviting me along on the Social Media Tour they had on Friday, December 3. Over the next few days I will post a few photos from what I believe is my ultimate baseball fangirling moment. So, let's start at the very beginning (a very good place to start) of our tour... 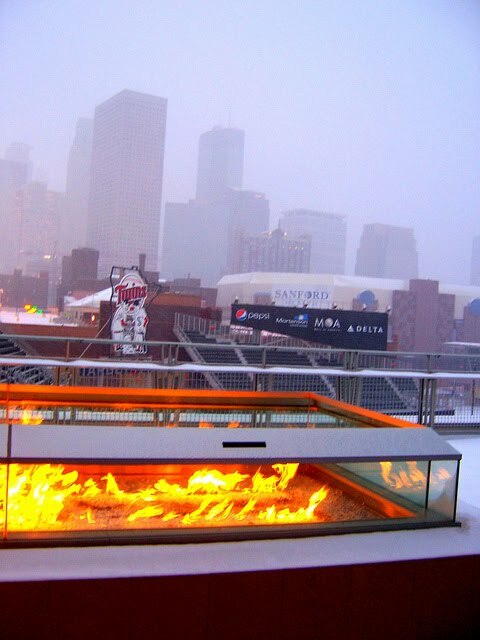 The Budweiser Roof deck. 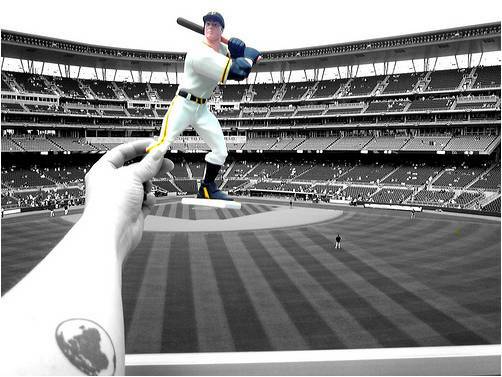 I have yet to find a spot in this ballpark that isn't an amazing photo op!